There are times when I tell people that I live in Dublin, I am met with the question - where is that? I tell them it is the capital of Ireland. I get the answer, OK...and where is that? Yes, it's true and it has happened to me quite a few times. People from this part of the world might feel it a weird question or blame it to lack of general knowledge, but let me tell you many in India hadn't heard of this country until recently. You might ask why until recently? It's all because of Cricket. Sometimes back, my husband showed me an article on Times of India which said that when Kevin O'Brien made the world record to scoring the fastest century, people in India went about locating Ireland on the world map. Team Ireland astounded the world by beating the veteran England team in a game during the Cricket world cup 2011. When I recounted my experience to him, even he asked me, what I knew of this country before coming here.. Well, my general knowledge is not very good and geography has never been my favorite subject, but I did know of a few famous Irish names. I am sure most of us have read Gulliver's Travel and have been fascinated by the little Lilliputs and the giant Gulliver's story. It was a part of our school curriculum and all thanks to that, I knew Jonathan Swift was an Irish man and was born in Dublin. 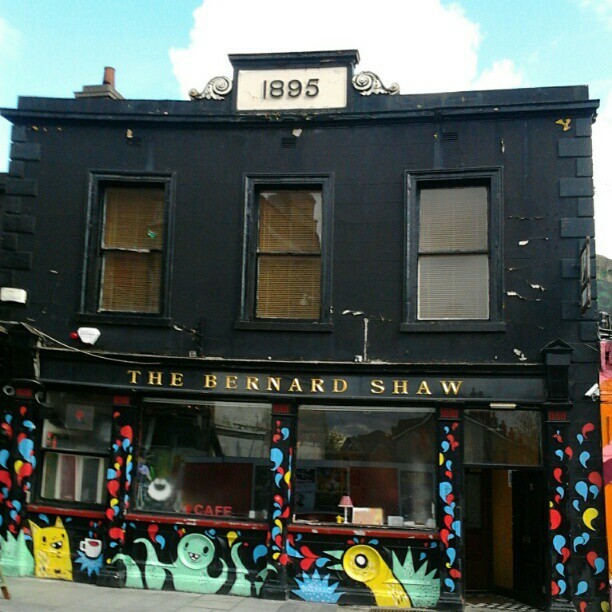 The Bernard Shaw cafe/pub near my house. Another famous Irish man I knew because of my school curriculum. I remember having read an essay as a part of my studies (I can't remember the name). Today, the place where this great man was born is just walking distance from my home. I am sure most of us have heard about Ulysses. Again thanks to my English lessons, I remember having read a story named Ulysses and the Cyclops. I was very fascinated by the tale of Ulysses and the giant one eyed Cyclops. I knew then that Ulysses is the novel by the Irish author, James Joyce. 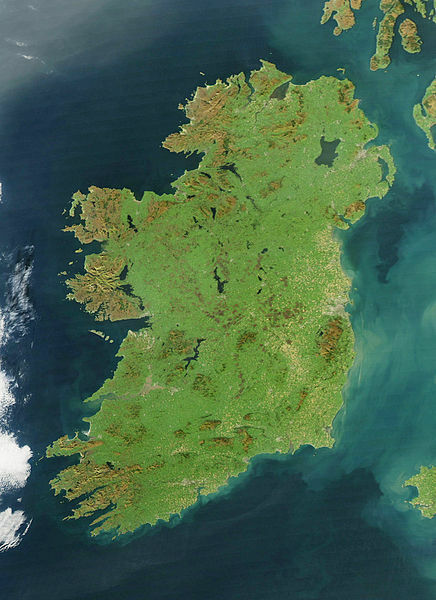 May be I could not have located Ireland in the world map then, but I did know something about this country. I had read about the great famine and I knew Dracula had its origin here. Long back when I had seen the video below, I was amazed and proud to know of the significant contribution this little country had made to the world. Do check out the video below. I also remember reading about Leprechauns who are Ireland equivalent of fairies.. they store their gold at the end of the rainbow.. I have bookmarked some books by Marian Keyes.. Guess, I need to push them up in my TBR Pile.. The first thing that comes to my mind when I think of any place is the bookish connection to it. Ireland always reminds me of Dracula, though I did not know that G. B. Shaw was Irish! Also, I always think of the Ireland vs. Bulgaria Quidditch World Cup!! Ireland vs. Bulgaria Quidditch World Cup.. That is something knew to me.. I know of this game from Harry Potter.. Didnt know it has a world cup.. Although I had heard a knew about it recently when it was demanded that it be included in the Olympic games!